Hamed Najafabadi, an assistant professor in McGill’s Department of Human Genetics, and Stuart Trenholm, assistant professor at the Montreal Neurological Institute, have been selected as 2018 Alfred P. Sloan Research Fellows – a coveted distinction awarded to highly promising early-career scientists from the United States and Canada. Past recipients include towering figures in the history of science, such as physicists Richard Feynman and Murray Gell-Mann and game theorist John Nash. Forty-five fellows have received a Nobel Prize in their respective field. The fellowships are open to scholars in eight scientific and technical fields: chemistry, computer science, economics, mathematics, computational and evolutionary molecular biology, neuroscience, ocean sciences, and physics. Candidates must be nominated by their fellow scientists and winning fellows are selected by an independent panel of senior scholars on the basis of a candidate’s research accomplishments, creativity, and potential to become a leader in his or her field. Winners receive a two-year, $65,000 fellowship to further their research. The Sloan Foundation announced this year’s Fellows on www.sloan.org and in an advertisement in the New York Times on Feb. 15. You can think of the human genome as a kind of encoded recipe book. It contains all the instructions for cells to make up the human body, using molecules in the cells as ingredients. But how do different cell types – skin, muscle, neurons – know how much of each ingredient to produce? That, in essence, is the puzzle that Hamed Najafabadi, an assistant professor in McGill’s Department of Human Genetics, is working on. When cells misread genetic instructions and get their recipes wrong, the result can be diseases such as cancer. A better understanding of why this happens could help scientists develop treatments for those conditions. For the genome’s recipes to get translated into action, they have to be transcribed and transmitted to other parts of the cell. This messenger role is handled by a molecule known as ribonucleic acid, or RNA. But there are many types of RNA in our cells, and each cell produces different amounts of each RNA. So, 15 years after scientists successfully sequenced the entire human genome, researchers like Najafabadi are harnessing the power of big data and machine learning to understand the cryptic instructions in the genome that determine the amounts of RNAs produced by the cell. Deciphering these instructions could help scientists understand how one cell type decides to make a lot of copies from one page of the genome, while another cell type take its cues from a different page. Defects in tuning the amounts of RNA in the cell are not limited to cancer. 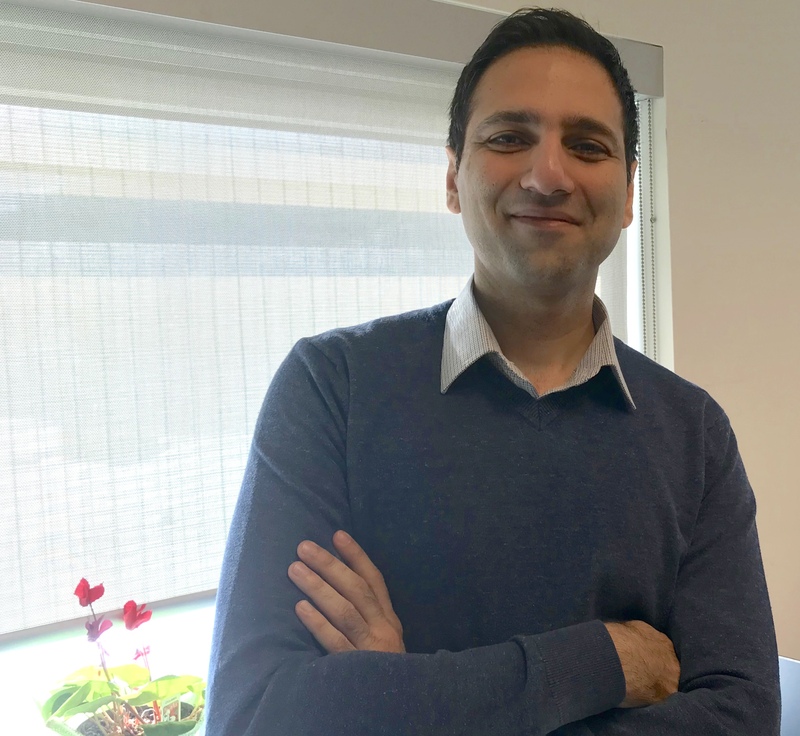 In research published last fall in Nature Communications, Najafabadi’s team discovered a cellular mechanism that may contribute to the breakdown of communication between neurons in Alzheimer’s disease. The findings indicate that inadequate levels of a protein that helps stabilize RNA molecules may be a factor in the faulty neuronal connections that are a hallmark of the disease. As a high school student in Iran, Najafabadi developed an interest in biology – in particular, how the body and its cells work. He was also keen on computer science. When he got to University of Tehran, he discovered bioinformatics, the perfect field to combine his two areas of interest. He began studying how the genetic code has evolved over millions of years. During his undergraduate years, McGill Prof. Reza Salavati, a parasitologist with expertise in bioinformatics, happened to give a talk at the Pasteur Institute in Tehran. Najafabadi heard about the talk from a friend, and got in touch with Prof. Salavati. That led to his coming to McGill as a graduate student in 2007. After earning his PhD in 2012, Najafabadi went on to a postdoctoral fellowship at University of Toronto, before returning to McGill as an assistant professor in 2016. To get his mind off work, Najafabadi dabbles in abstract oil paintings. His office in the McGill University and Genome Quebec Innovation Centre, with a view of Rutherford Park and the snow-covered flank of Mont-Royal, also features an orchid plant on the windowsill – a tropical touch offsetting the snowy backdrop. After a decade in Canada, Najafabadi has adjusted to the frigid winters. The upside, he says, is that it’s conducive to staying indoors and hunkering down with his research. The Sloan award will provide more resources to pursue that work -- and the high-profile fellowship will ensure that the results attract plenty of attention from his fellow scientists. ​Stuart Trenholm studies the neuronal circuits that make vision possible. His lab in the Montreal Neurological Institute and Hospital (The Neuro) uses the latest circuit-tracing and brain imaging techniques to better understand how we perceive objects in our environment. 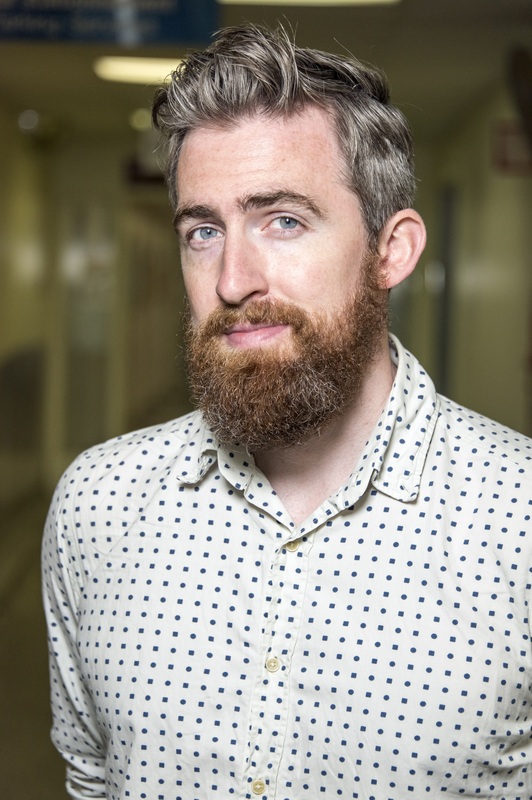 Trenholm helped develop new techniques during his postdoctoral work in Switzerland to understand how the wiring of neuronal circuits drives unique response properties in the cortex. He has also made seminal contributions to research demonstrating the roles of horizontal cells in modulating feedback to photoreceptors. Ultimately, he aims to contribute to new therapies that can improve the quality of life of visually impaired people. 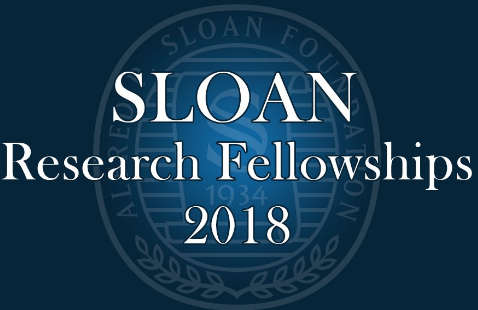 The Alfred P. Sloan Foundation has been awarding fellowships yearly since 1955, to honour early-career scholars in the United States and Canada whose achievements mark them as among the very best scientists working today.